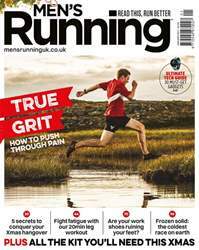 Digital Subscriptions > Men's Running > Jan-17 > YOUR MARATHON ADVENTURE STARTS HERE! We’re looking for four men with big marathon dreams who need some help along the way. Their progress will be charted in the magazine and on the website, as well as on the Men’s Running Twitter and Facebook pages. Last year’s Big Marathon Challenge team came on in leaps and bounds from the start of their training in December 2015. For new runner Gary Brazier, it was a chance to receive expert help as he aimed to lose weight and train for his first ever marathon – which he completed in London in April.